I’ve been tracking my blogging income for more than two years now. Within the income reports, I not only share how much I’m making from different sources but strategies I’ve learned and challenges faced. That means these quarterly income reports really serve two purposes. First as a way to show you that it really is possible to grow an online income from home and to share the strategies I’ve learned so you don’t make the same mistakes. I also use the reports as a sort of reflection and meditation. It’s the written word of my thoughts on what’s working and where I’m struggling. Building a business is a constant struggle for improvement and it’s become painfully obvious for me this year. I see so many of my blogger friends burn out and quit. I’ve also faced a major struggle myself in shifting my motivation from money to something larger. Let’s look at the income from my online assets first and then I’ll talk about that struggle (and how I’m fighting it every day) towards the end. 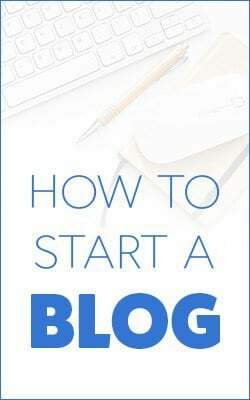 Just getting started blogging? 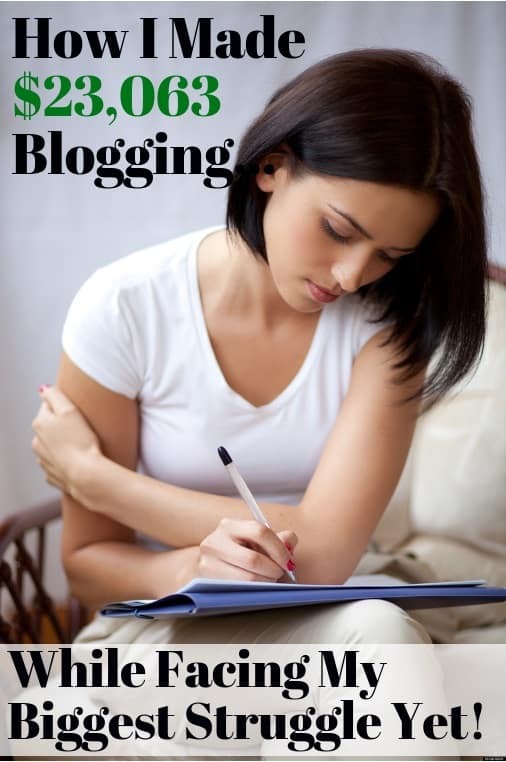 Don’t miss our resource guide on starting a profitable blog! I booked $23,063 over the three months, not including freelancing. I generally don’t include freelancing income in these reports because it seems a separate business model compared to the four websites and the YouTube channel. BTW…I’d love to have you in the community on YouTube. 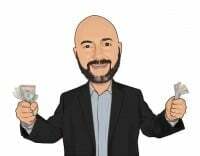 We’re creating the financial future you deserve by beating debt, making more money and making your money work for you – Let’s Talk Money! That’s not to say that freelancing isn’t a great income source and absolutely critical for new bloggers that might not be making much from their sites yet. 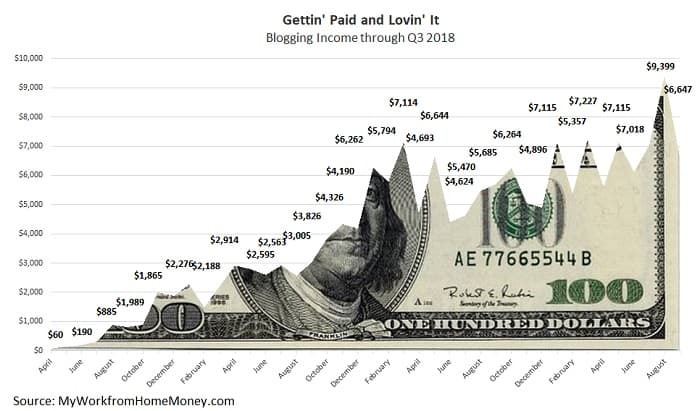 Third quarter income brings total 2018 blogging income to $61,593 which is an increase of 21% over the first nine months of 2017. You can see from the chart that growth in my online income has slowed a little. I doubled my income every year for the first few years. I’ve made a few mistakes, more on these in the sections below, and broke my #1 rule of making money blogging this year. It’s hard not to be happy with a 20% increase in my income though, especially considering average wage growth for workers has stagnated around 2% for the last several years. Is it lazy or unambitious of me to be content with that 20% increase? I feel like I’m not being the hard-charging, never-satisfied entrepreneur everyone talks about. Income from affiliate marketing was $11,151 for the quarter and grew to $32,151 so far for the year. That’s about a 10% increase over the first nine months of last year. I feel like I haven’t organized my affiliate marketing as well as I have in the past. I used to make a point to check for new affiliate programs every couple of months and schedule affiliate reviews into my content calendar. I haven’t done that in a few months and it shows in income growth. I’ve done a few reviews but really haven’t looked for new affiliates in months and haven’t created any massive comparison posts. I’ve been so consumed with building out the YouTube channel that affiliate marketing has taken a backseat. Schedule an hour each month to search your affiliate networks (CJ Affiliates, Share-a-Sale, FlexOffers) for related affiliates to ones that are working for you. Plan on writing a review of each new affiliate within the next two months and add the new affiliate to any existing comparison posts. Write at least one ‘ultimate’ comparison post every three months. Along with reviews, these are your biggest money-makers with affiliate marketing because they rank so highly on Google. 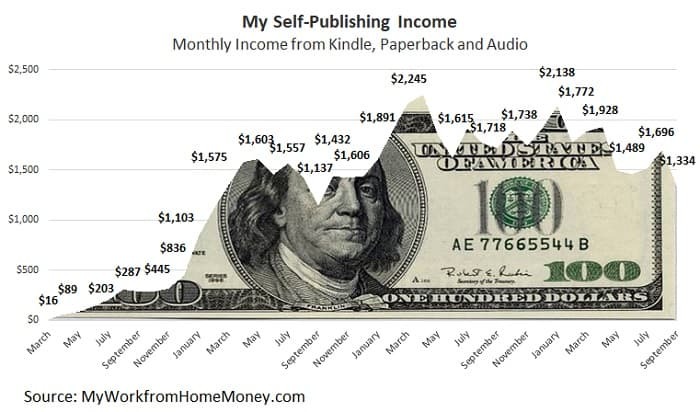 I’ve always loved the passive income flow from self-publishing but it looks like that’s breaking down a little after three years. I made $4,537 last quarter from 10 books published on Amazon, bringing 2018 income to $15,204 which is actually down 10% from the same period in 2017. Part of this is that I haven’t launched a new book since January 2017. Nobody’s quite sure how Amazon’s ranking algorithm works but I have a hunch it rewards writers that pump out new books regularly. Most of all, I haven’t done anything to boost my books besides just tagging them in some blog posts. That level of passive income is great compared to other online income sources but it does slow after a while. The problem here is that I’ve been focused on creating my first video course since September of last year. 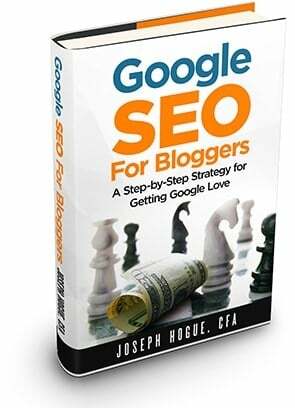 Courses are big money for a lot of bloggers and I wanted to take it to that next level. That would have been fine if I finished my course in the six months originally planned. Stretching it out over more than a year means I could have written three or four books in that time and been making upwards of $800 extra a month. I’m still planning on finishing the course and launching within the next month but the lesson here…if it ain’t broke, don’t fix it. I’m going to wait to pass judgement after seeing how well the course does but I might just go back to focusing on self-publishing. Build books into your content calendar with this self-publishing strategy. Be careful of chasing those shiny new income sources, especially if one source is already working. How about a 9-fold Increase in Sponsorship Income? These last two online income sources have rocketed this year and show you where my focus has been. Sponsorship income was $4,215 last quarter and $9,971 so far for the year. 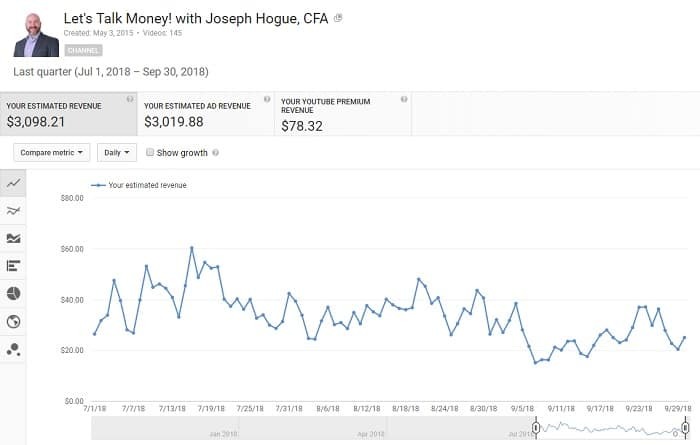 That’s more than nine times more than I made in the third quarter last year from sponsors and 2018 income is already 90% higher than last year. The majority of my sponsorship income for the quarter was from video sponsors on the YouTube channel. Sponsors are loving the engagement and brand-building they get through video and with 5G around the corner…that trend is only going to get stronger. I want to share my sponsorship strategy with you because it’s really resonated with sponsors and allowed me to take my income to another level. All my sponsorships are moving to multi-video packages versus the old idea of a single blog post or ad banner. This gives them multiple touch-points with the audience, helps to build that brand awareness and catches buyers at different stages in the decision-making process. I pitch a three-video package to sponsors. The first video is created around a broad topic like why you need insurance or how much you need. This allows us to cast a wide net and appeal to a much larger audience compared to something more focused. The second video narrows the topic a little, maybe something like how to compare life insurance companies. This catches people further in the buying decision, those that know they need insurance but aren’t sure which company they want to buy from, and guides viewers from the first video through the process. This third video is a specific look at the sponsor, how they serve customers better than any other company. These videos rank very well in search because they are so focused but they also bring the larger audiences from the prior two videos. Each video is transcribed as a blog post to do double-duty and shared on social media. I talk about the sponsor in each video and add a link in the video description but most of the conversions occur from the third video. By that time, you’ve given a viewer so much information and have guided them through the entire decision-making process…they have no reason not to click through to the sponsor. If you’re struggling to boost sponsorship income, I highly recommend this strategy. Even if it’s just on your blog, design a series of posts that can be used to capture that larger audience and guide them through to the decision. I made $3,159 in advertising during the quarter, bringing the total to $3,435 for the year. That’s an increase of over nine-times over the 2017 number. In fairness here, I took almost all the ads off my blogs last year. I just hate reading a blog and having to scroll through five ads while trying to read a post and I don’t want you to have to when reading my blog. Through most of 2018, I’ve only had a few links for Amazon books and other products. But the new YouTube channel has given me a new media, one where people expect an ad to play before the video so it’s not as intrusive. I made nearly $3,100 on YouTube ads over the quarter. It started to dip in September as video views came down a little but it looks like October will be right back up again. If you haven’t started a YouTube channel, or a video channel on another platform, start NOW! So growth in online income hasn’t been a problem, the problem has been a existential struggle to find my motivation. 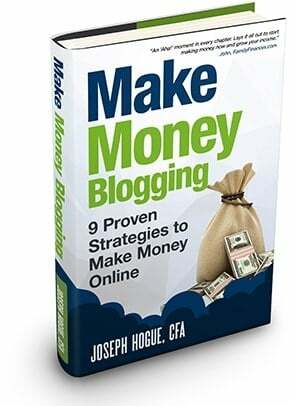 When I started blogging, I wanted to make money…lots of money. I wanted the financial freedom to work from home and make enough that I would never have to worry about money. Over the past few years, I’ve mostly accomplished that goal. I couldn’t quite working on my blogs completely but the income from my online assets is more than I will ever need. We save more than half of our income and have over a million in investments. Not having that need to grow my online assets for the income has taken away the motivation to work those 60-hour weeks I did when first starting. I’m still working a full work-week but it’s mostly maintenance activities like writing posts and creating videos. I’m not spending as much time developing and working on growth projects…because I’m not as motivated to grow the blogs. Reading more. I’m goal-driven to read at least two books a month for self-development. Not only will this expand my mind but it will take some time out of my schedule and put me under a stricter deadline for blog projects. I work better under a deadline and don’t waste as much time. I’m loving the engagement and community on the YouTube channel and am focusing on building it to 100,000 subscribers by the end of 2019. To do that, I’ll go to three videos a week and do more outreach with other channels. I’m scheduling longer projects each month. This will force me to do more than just maintenance work and get the focus back on growth. What challenges are you facing with growing your blogs or online income? Do you have any advice for things I’ve mentioned above? One of the best aspects of creating an online business is the community you build with other creators and that’s something I’ve tried to do with these income reports. Let’s start the conversation so we can all grow! Love the transparency here — especially with the motivation part. Still, it’s awesome to look back and see how much your online business has grown. Well done!! I’m still working up the courage to pull the trigger and finally jump into making YouTube videos. Looks like you’ve really found your element over there! I’m just in the learning and planning process of my blog/vlog and youtube channel. I hope to start up in a month or so. I started a blog in the past but hadn’t planned enough for it. I am doing more research this time and want to thank you for all of the information you have put together! As you know, I am in the earliest stages of growing my media empire(or village), but it is posts like this that drive me forward. Thank you for the clear and concise breakdown of not only your income sources, but what gets you out of bed in the morning.